Have you ever wondered how much better a cricketer you would be if you learned the same drills and techniques used by the professionals? Batting is frustrating. You can practice hard and still get out first ball in an important match. It makes you think you have been doing the wrong kind of training, or have the wrong kind of coaching (if you have any coaching at all). But if you had drills from a first-class, Twenty20 winning level coach you would never have to wonder about that again. That's what you get when you buy Toby Radford's Serious Cricket Batting Guide. After completing the course you can go out to bat knowing you have used the practice methods that have been proven to work. 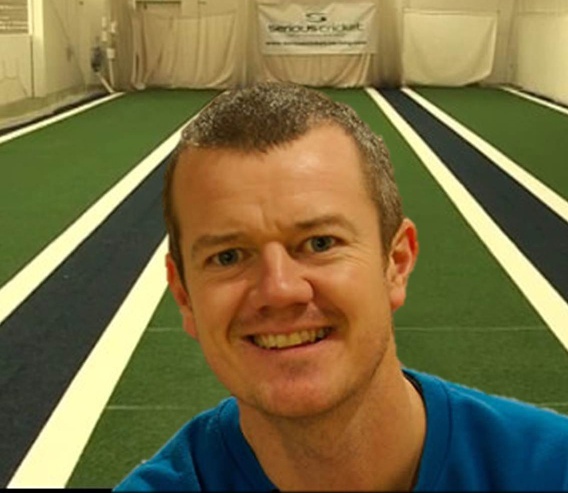 Methods used by Toby Radford at Middlesex CCC, ECB Performance Programme and West Indies. Imagine how much higher you confidence will be when you know you technique is in good order. You feel able to play short, fast bowling equally as well as the turning ball. You can hit along the ground or over the top and will have developed a game-plan that matches your style. It all leads - simply - to more runs in short and long format cricket. It makes you a successful batter. How to judge line and length quickly, including little-known drills. The "nuts and bolts" of batting: how to have a solid, repeatable grip, stance and backswing that allows you to play effective shots. Detailed technical tips and drills on 14 different shots, including the reverse sweep, switch hit, front foot drives, cut, slog sweep and pull. Each shot has its own video and set of drills. Maintaining technique against short, fast bowling to both defend and - excitingly - attack. Easy-to-follow progressions to learn how, when and why to use the sweep shot to dominate spin bowling. Ways to avoid pre-meditating the sweep shot to remove the danger in the shot. The run-getter shots of the switch hit and reverse sweep. And when to use them! An interactive guide to playing spin that asks you what you want to know. In addition to technical advice and drills, there is an exclusive guide to common technical faults that Toby Radford has seen in batters. It doesn't matter if you back away, hot the ball in the air, or any other fault, the problem solver section of this interactive guide will give you the complete solution. You can take the answer to your next practice session, put it into action and start seeing instant results. 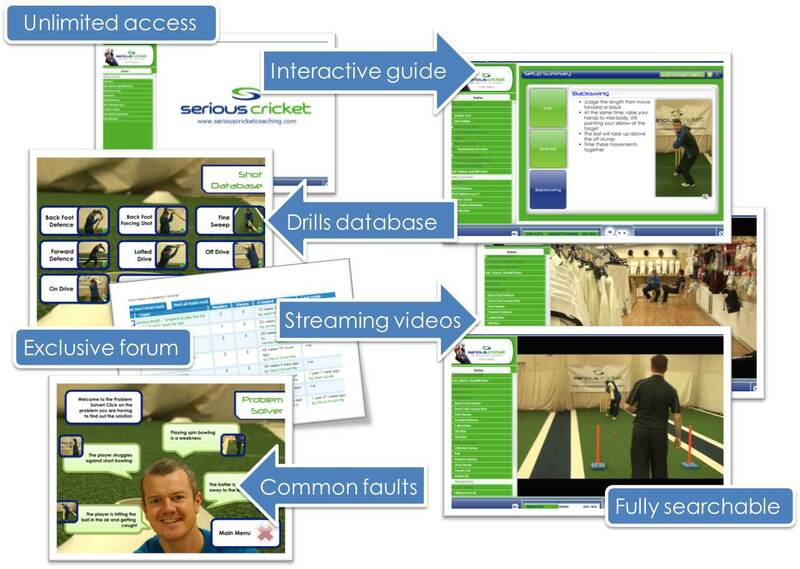 It's all presented in an online coaching guide that interacts with you to customise the programme to your needs. There is over 70 minutes of video drills and advice to keep you going for years. Viewable as often as you like, you can keep coming back to the streaming videos and questions from Toby Radford to pin down the exact drills use them to get better as fast as possible. And even better, you are able to discuss your experiences with the drills and methods in the exclusive online batting forum where coaches are on hand to answer your questions. It's a friendly, exclusive place that is only accessible to course buyers. This is full-access, accelerated, gold standard learning from one of the most respected coaches in the business. To access the course, simply click the green "Buy" button and start getting more runs tomorrow. Click to chat with others on the course in the exclusive members-only forum.